Title III of the Americans with disabilities Act (ADA) prohibits discrimination against deaf and hard-of-hearing people in places of public accommodation. Included within the definition of places of public accommodation is any “professional office of a health care provider,” regardless of the size of the office or the number of employees. 28 C.F.R. ¤36.104. The ADA therefore applies to doctors, dentists, psychiatrists and psychologists, hospitals, nursing homes, and health clinics, and all other providers of mental and physical health care. “Auxiliary aids and services” expressly include qualified interpreters, transcription services, and written materials, as well as the provision of telecommunications devices for the deaf (known as TDDs or text telephones), telephone handset amplifiers, television decoders and telephones compatible with hearing aids. 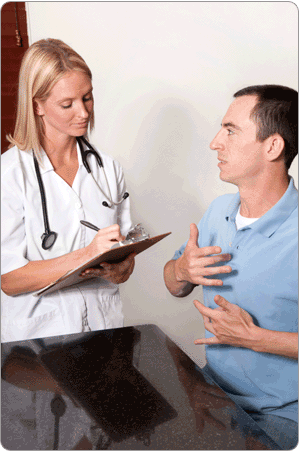 For individuals who use sign language, interpreters are often needed to provide safe and effective medical treatment. Unless a doctor can communicate effectively and accurately with a patient, there is a grave risk of not understanding the patient’s symptoms, misdiagnosing the patient’s problem, and prescribing inadequate or even harmful treatment. Similarly, patients may not understand medical instructions and warnings or prescription guidelines without the provision of an interpreter. A public accommodation may not impose a surcharge on a particular individual with a disability or any group of individuals with disabilities to cover the costs of measures, such as the provision of auxiliary aids, barrier removal…and reasonable modifications… that are required to provide that individual or group with the nondiscriminatory treatment required by the Act or this part. 56 Fed. Reg. 35553 (July 26, 1991). …It is not difficult to imagine a wide range of communications involving areas such as health, legal matters, and finances that would be sufficiently lengthy or complex as to require an interpreter for effective communication. 56 Fed. Reg. 35566-67 (July 26, 1991). Typical examples of situations in which interpreters should be present are: obtaining a medical history, obtaining informed consent and permission for treatment, explaining diagnoses, treatment and prognosis of an illness, conducting psychotherapy, communicating prior to and after major medical procedures, explaining medication, explaining medical costs and insurance issues, and explaining patient care upon discharge from a medical facility.